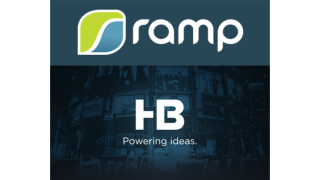 Ramp, a provider of eCDN video delivery solutions for large enterprises, has formed a technology and marketing partnership with HB Communications. Together the companies will offer optimized solutions to global organizations for video streaming and content management. Global 2000 businesses rely on live streaming and on-demand video for employee training, executive, and online communications. According to Aragon Research, video will become the dominant content type by 2018. Enterprises are facing the challenge of delivering reliable, fast video over bandwidth-constrained enterprise WANs. Ramp’s AltitudeCDN is designed to optimize video bandwidth use across overloaded enterprise networks and deliver high-quality, stable communications while supporting virtually any video source.